The market for CNC machines is growing at a steady pace on a global scale. It is estimated that the cnc industry will reach 94 billion dollars by 2024. Innovations in this area are reducing installation and maintenance costs which will further this innovation and growth. According to a report published by Transparency Market Research, the global market of CNC will highlight the 6.3% CAGR (Compound annual growth rate) in the period included between 2016 and 2014, rising from a value of 52.68 billion dollars in 2015 to 93.45 billion dollars within 2024. 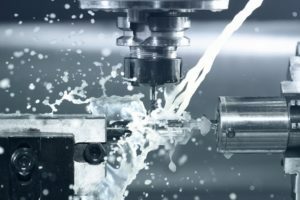 The main factor that drives the growing adoption in the entire manufacturing industry of CNC machines is their capability of contributing in reducing human errors and in producing elements efficiently. The control and programming functions of advanced machine, enabled by the use of CNC machines, increasingly encourage the adoption of these systems in numerous sectors. According to the report by Transparency Market Research, the global market of CNC offers a well-consolidated survey. The five «Top» companies (Fanuc Corporation, Haas Automation, Heidenhain, Siemens AG, and Mitsubishi Electric) constituted almost 60% of the overall market in 2015. There is competitiveness among protagonists and all manufacturing companies are committed to the development of forefront and innovative products, to maintain their significant role on the market. The customers’ focus on the development of interconnected systems has grown, too. One of the five companies, which held almost 25% of the market in 2015, has focused on the development of new products as key business strategy. In 2016, for instance, the company presented a product line integrated with CNC to allow enterprises to rely on better industrial automation structures and to permit machine tool manufacturers to create unique functions. A second company released a new CNC generation with an improved user interface to enable a better surfing experience. finishes and allowing the addition of characteristics upon designers’ or customers’ initiative. In the milling ambit, the component size is limited by the machine performance and by the cutting depth required by a function in the part. 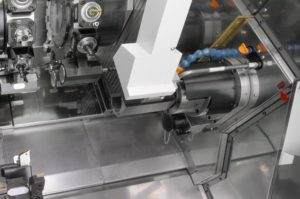 Lathe functions allow successful machining of components up to 18»(457.2 mm) of diameter, but special cases can be executed for bigger workpieces. The choice of materials is fundamental in determining the workpiece function and cost. The engineer must define the important characteristics for the material design, hardness, stiffness, chemical resistance, heat-treatability and thermal stability, just to mention some of them. The solution allows considering a broad variety of metal and plastic materials and materials customized upon demand. Simple designs, or with more complex shapes with slots and spaces, can be created using the CNC machining process. If the component is more complex, which means shaped geometry or more faces to be cut, it is also more expensive, owing to the further installation or cutting time of the workpiece on the machine. The 5-axis machining performances allow the production of various complex parts in more convenient manner. The coordinated motion enables the manufacturing of several complex elements more efficiently because their configurations are drastically reduced, higher cutting speeds are reached, more efficient tool paths are generated and better surface finishes are possible. Using the 5-axis technology instead of the conventional 3-axis one, a lower number of configurations is necessary to create a part with complex geometry. While using a 5-axis machine, the machine and the part in motion allow the cutting tool to remain tangent to the cutting surface. Costs and reduction of cycle times are reached because more material can be removed with each tool point; the use of 5-axis performances on the shaped geometry results in better surface finishes. Among innovations, in CNC ambit, it is worth highlighting the controllers with ultra-fast CPU. The new type of CPU grants controllers higher operational speeds than standards, enhancing the system output. The fast processing of the CNC programme assures very low cycle times while the higher power of the PLC supports the high-speed processing of articulated ladder programmes. The optical fibre use for the data transmission maximizes the optical communication between CNC and drives and allows perfecting the system reactivity and the machining precision. The new CPU decreases also the quantity of additional components to be adopted for the application implementation. This results in a minor number of possible error sources and in an improvement of the product quality, besides a cost reduction. Thanks to the new functions, CNC allow managing efficiently both turning and milling operations. The multi-axis/multi-channel control, improved, allows attaining a further reduction of cycle times and an optimized synchronization among channels. In a new series of this model, a 4th generation control is offered for high speed, precision and quality machining. The new regulation includes functions intended for reducing cycle times in case of simultaneous acceleration/deceleration and shares in reducing the machine vibrations during the high-speed machining. The new adjustment offers more precision with the same machining times or the same precision with shorter machining times. The innovative turning centres become able to use servomotors instead of spindle motors for rotary tools. Using each of the servo-axes equipping multi-hybrid drives as rotary tool contributes in the resizing of machine tools, with advantages in terms of costs. The programme management is simplified by a capacitive touchscreen display. The icons equipping the display allow recalling functions and operational menus quickly, tool icons show the tool geometry, its status and the point direction whereas the graphic check function in 3D supports an advanced three-dimensional graphic simulation to test more complex machining programmes. A new model avails itself of a vertical 19-inch display with screen subdivided into two independent visualization windows, each of which can show a software keyboard, a displayer of documents or other applications. Moreover, are available models that manage different access levels freely set for single operators, to improve the safety of data and machines and to avoid operational errors.